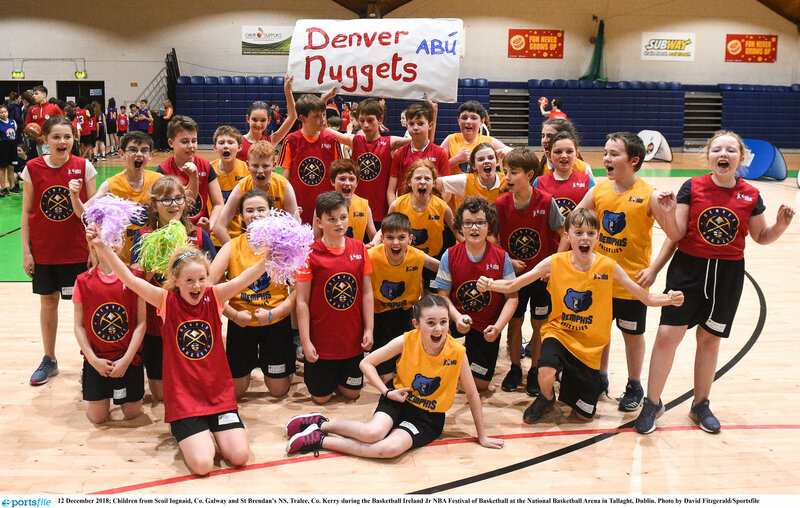 Lausanne, a small town nestled in the heart of the Switzerland countryside, may not be a name you’ve heard of before when it comes to basketball – particularly in terms of Irish basketball, but one man from Mayo is working hard to change that. Meet Liam Printer from Westport in Co. Mayo. 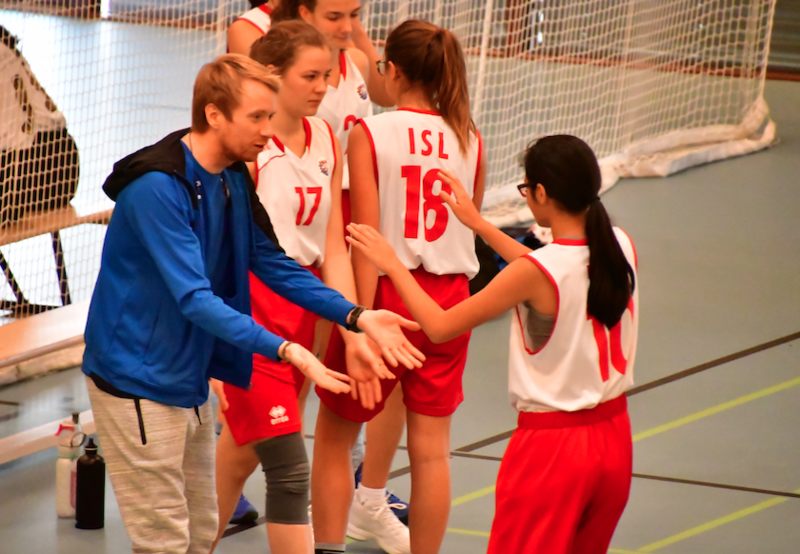 A teacher at the International School of Lausanne, Liam has worked hard over the last number of years to put basketball front and centre on the school map and what a job he’s done. 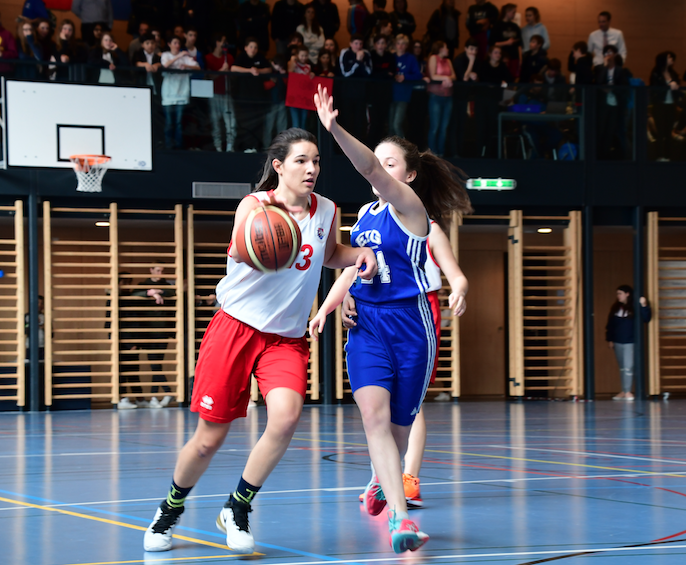 Thanks to the determination of two of the students Clara Juhl and Cloé Michaud, Clara’s committed dad Jerry and coach Liam, the school has become a name to be reckoned with in basketball circles around Switzerland and even further afield, and here, we meet Liam to find out why. “Ann Whelan joined the school when I was in fifth year then, and wanted to get the basketball programme going once more. I started helping her to coach the first years and we got them to the All Ireland C final and that was my first taste of coaching. 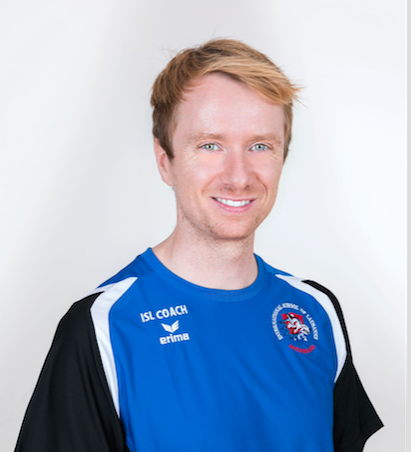 “From there I went on to college and travelled a good bit, before moving to Sligo where I started playing basketball with Sligo Giant Warriors after getting my first teaching job in St Gerald’s College in Castlebar. That was quite a big basketball school, and I was asked to step in as the coach. “Back then, I had the Under 16 and the Under 19 teams, and there were lads like Aidan O’Shea, the Mayo footballer, on the team. He was in fifth year at the time, was captain of the team and an amazing basketball player. That was a really good team all round actually, I didn’t really have much coaching to do with that Under 19 team, they were already really good and to be honest, I was only 22 at the time, and they were twice my size so I doubt they would have listened too much to me!" “That year we went on and got to the All Ireland semi finals in the schools, and lost to one of the Kerry schools. The Under 16s then, who I coached a good bit more, got to the All Ireland semi-finals in the A as well, and there we lost out to St Malachy’s, the basketball powerhouse from Belfast. “I also had the first years that year too and that was really exciting as they were a great bunch as well. The Durkan brothers, who went on to play football with Mayo, were on that team, great athletes. Our goal was to get out of the Western Region and get to the weekend in Limerick. We had a few tough games and then beat a Sligo school to go through and suddenly we’d done it - we were so delighted to go through the Western Region was so strong that year." “I’ll never forget that weekend in Limerick. Our group was awful – Malachy’s and Castleblayney. I remember seeing that draw and just thinking ‘oh no!’, but I didn’t let on to the team how tough we had it. We played Malachy’s first and we put a 1-3-1 defence out against them and for some reason it just stifled them, and we kept playing hard and we got to the third quarter and were well in the game and holding them, and it was incredible. Then we were tied in the final quarter with about a minute and a half to go and I brought on this good young kid Adam. He got the ball and went and scored, then got a steal and scored again and suddenly, we were up by four and we ended up beating them and the place just went ballistic! Then we went on to beat Castleblayney to top the group, and though we got knocked out at the semi-finals stages, I’ll never forget that weekend. I got really into coaching from then on." “I travelled a lot then and worked around the world, before eventually coming back to Ireland in 2012, when did a bit more coaching with St Gerald’s part time, then I moved to Switzerland in 2013,” he continued. 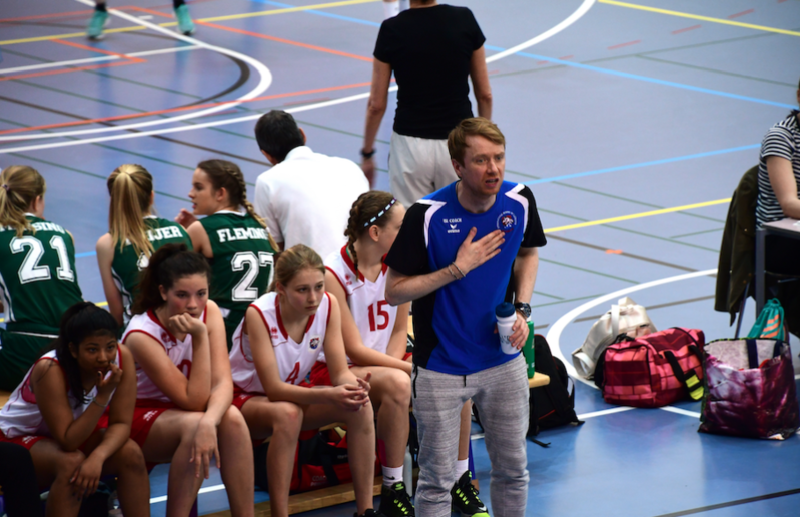 “I got a job in a really small school up in the mountains here, Leysin American School, as they needed a Spanish teacher – I teach French and Spanish – and they needed a basketball coach and that worked well for me and that’s how my coaching here started. “I coached their girls Varsity – or Under 19 - team, and was with them for two years. Then I moved here to the International School of Lausanne (ISL) and have been here for three years." “My first year over here though, it was a new experience. Basketball was a mixture of levels, but in that first school, we had two Japanese guards and some other really hard working players. 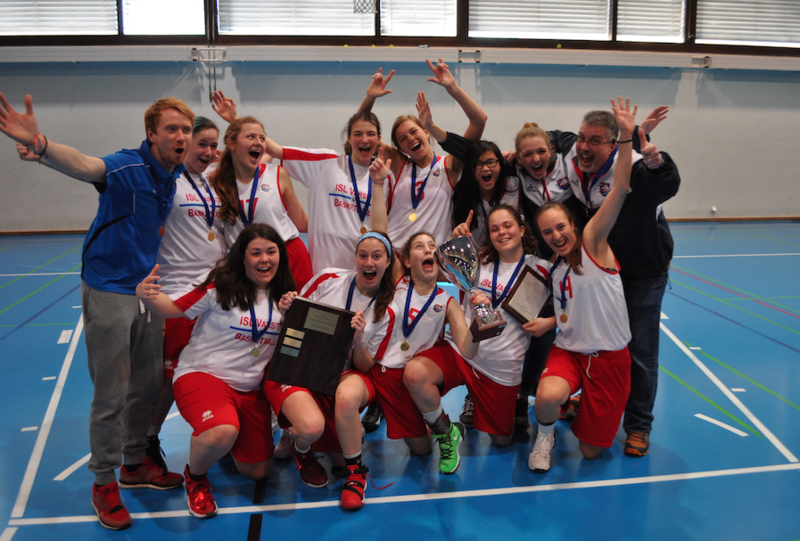 So that first year, we went to a tournament in November called the SGIS – the Swiss Group of International Schools – and it’s the A category and we went to that against all of the big Geneva schools, and we ended up winning it out! We had a really big assembly at the school after that as it was such a big achievement. One of the Japanese guards actually clinched with a last second buzzer-beater 3-pointer in her final year at the school. “I arrived that September and we had our first trial session and there were only about eight girls there. I started coaching with Jerry, who had started it the year before with his daughter Clara. They had originally gone to the Principal and said that they really wanted to start this team, and they were told, ‘first you need enough girls and second you’ll need a coach’, so Clara said her dad would do it and they got their friends down to get the numbers there, but it didn’t take off really until that September." “So to begin with, we had Clara and Cloé. Cloé was a fantastic player, the standout at every tournament, but so modest too. And then there were all the girls who had tried out in other sports and hadn’t been too successful. Most were total beginners, we had girls who were in Year 9 which is the equivalent of second year coming to the Under 19 trials and we just took everybody. So it started off and the first few months were pretty tough, we went to games and got beaten badly and it was really tough. “Then in November, we went to the same tournament that I had been to with the other school a few years before and we ended up coming third out of six, which was great. We had a girl join us in January – Jenna – and she was good too, and then Margaux came too and we knew we had something." “From there, we decided to enter the European Schools Conference (ESC) in March. It’s essentially a European Schools competition for all the international schools and it’s a big deal when you go. Opening ceremony with cheerleaders, big gyms packed with students watching games. It was all really exciting. Our first one was in Milan, and believe it or not, we ended up winning the entire tournament! We couldn’t believe it. We somehow got through an overtime game, and went on to win it out. The school was so delighted! The Principal couldn’t believe it either. “The next year (last year), we built on that and we had some great girls on the squad and a good few coming through as well, so that’s when we introduced a second team to the school – an under 13 team. “Last year, we lost in two separate league finals twice before Christmas to La Chatâigneraie– our biggest rivals! - and then we went to the ESC again, in Geneva this time, and we won it yet again! Back-to-back champions! It was incredible. We had gone from having no basketball team at all, to suddenly getting this team together and winning back-to-back European titles. “Moving on to this year, five of that team graduated and suddenly, we had a huge hole in the squad. 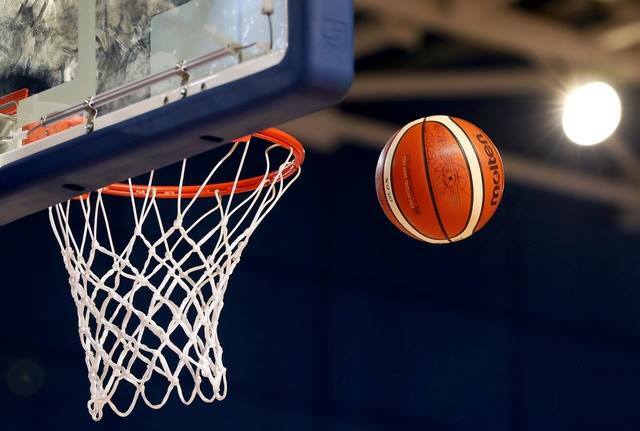 However, basketball had become so popular, we now had room to start an Under 16 team so now we have three – U13, U16 and U19 and we’ve become known in the area as a bit of a basketball powerhouse which is amazing. “So this year, we were all about regrouping and finding players to slot into the gaps in the team. We have had another great season, finishing top 3 in every league and tournament we entered and though we hosted the ESC this year, we didn’t get to do the treble in it, losing by 3 points in the final to Berlin, but we are going for it next year! We did win that SGIS A Category Tournament in November though for the first time in the School’s history. That was a pretty special day as Jerry was away so my brother, Anthony, came over and was my Assistant Coach for the day. The same brother who got me into basketball out on our driveway in Westport with a rusty old hoop nailed to a tree." “It is all a bit surreal to be honest. 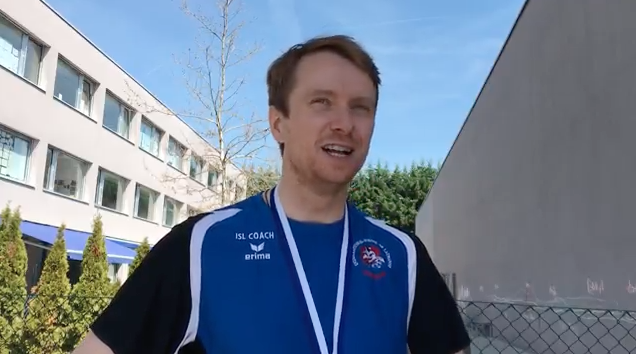 We’ve gone from not existing to double European Schools champions and two League titles in the space of three years which is pretty extraordinary,” he reflected. “It’s really special, everyone feels like there’s something really good here and Clara and Cloé – who started it together and have since graduated – are so proud of it. They come back and support the team whenever they can, and get to see this huge legacy they have left behind them. Zero teams to three teams. It’s incredible. “It’s been fantastic to see what’s been going on in Ireland in the meantime. To see the Ireland Under 18 team do so well was fantastic. I was in Mexico on holidays at the time and watched all of the games, and when I got back to school I showed the girls here the Irish team’s games and told them what they’d done. I’m really looking forward to watching the senior women this month too, and I also keep track of the Irish in America, I’ve watched Jordan Blount and Aidan Harris a lot and it’s so exciting to see."